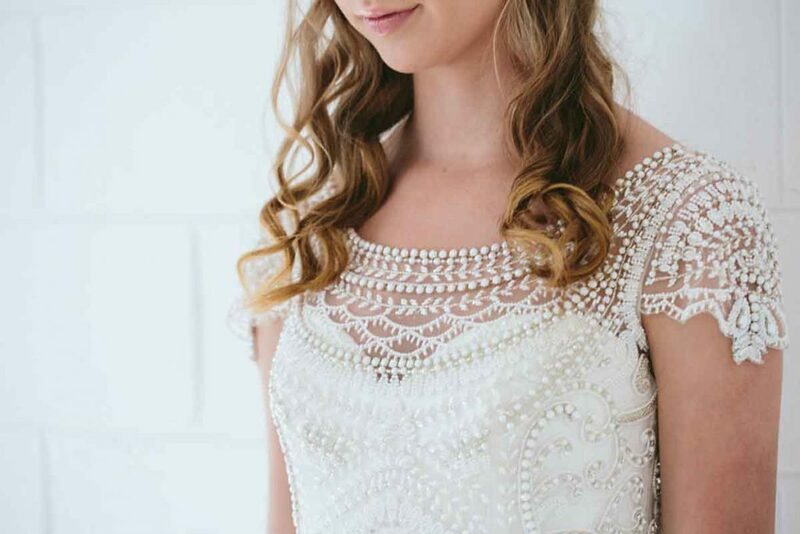 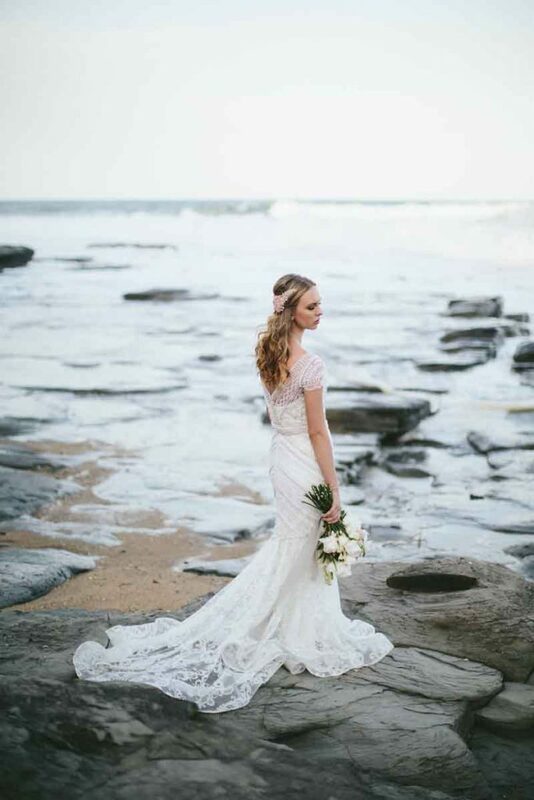 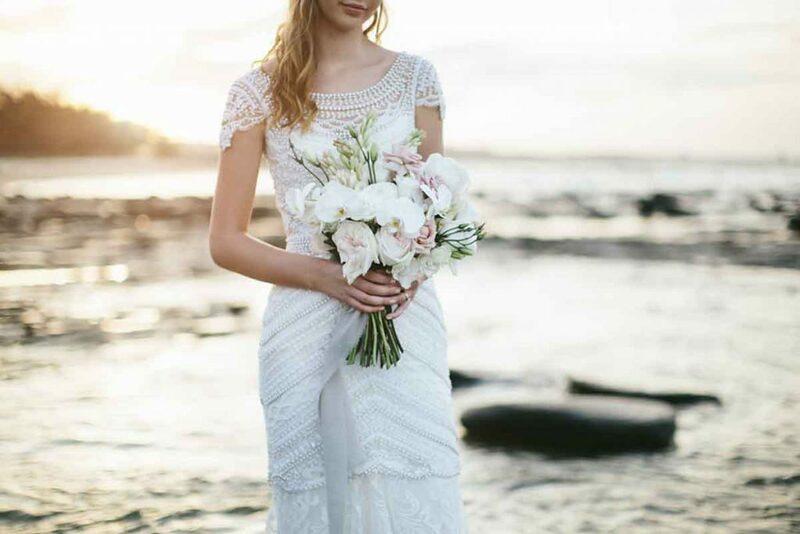 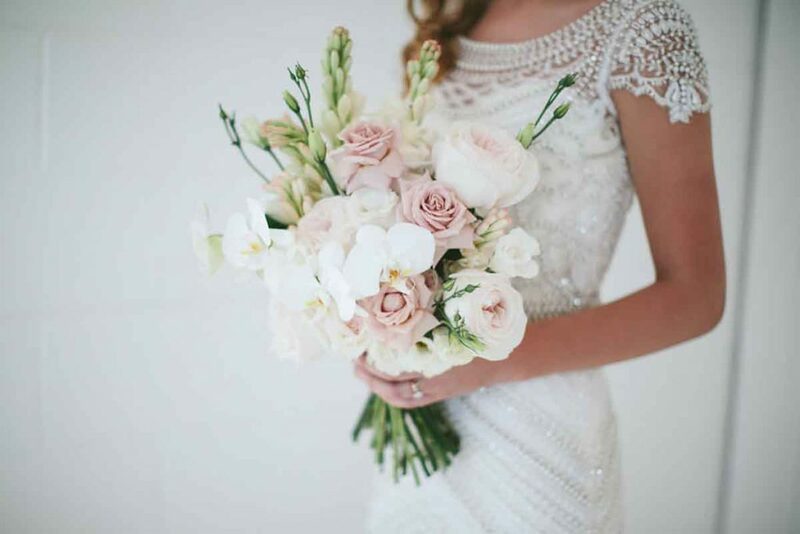 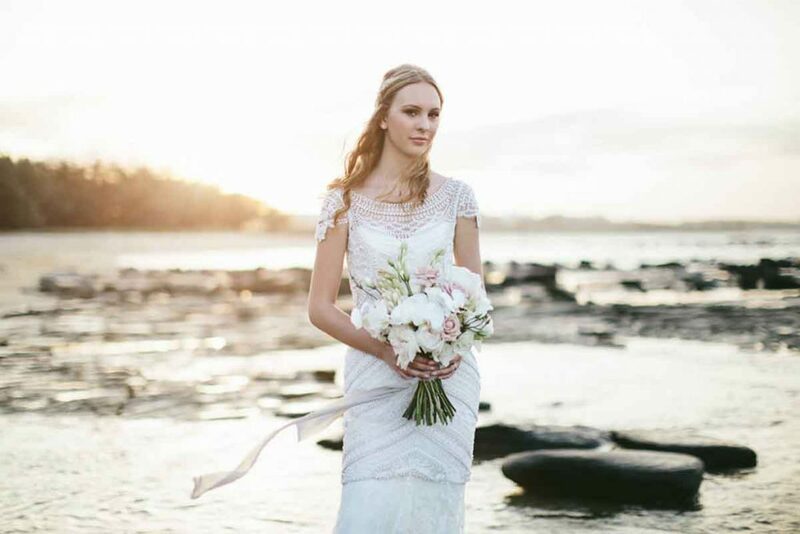 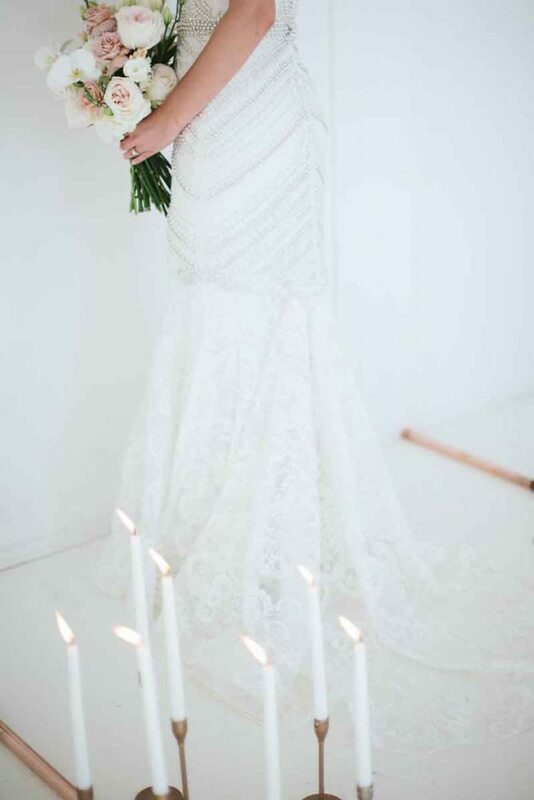 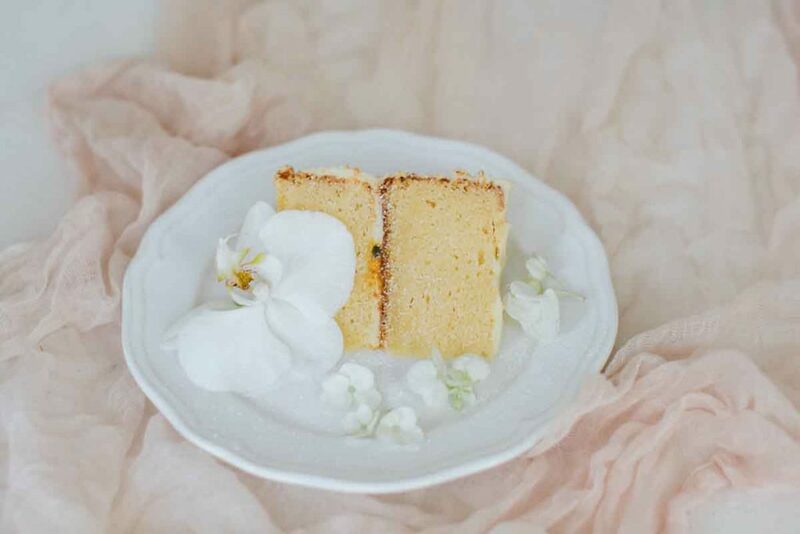 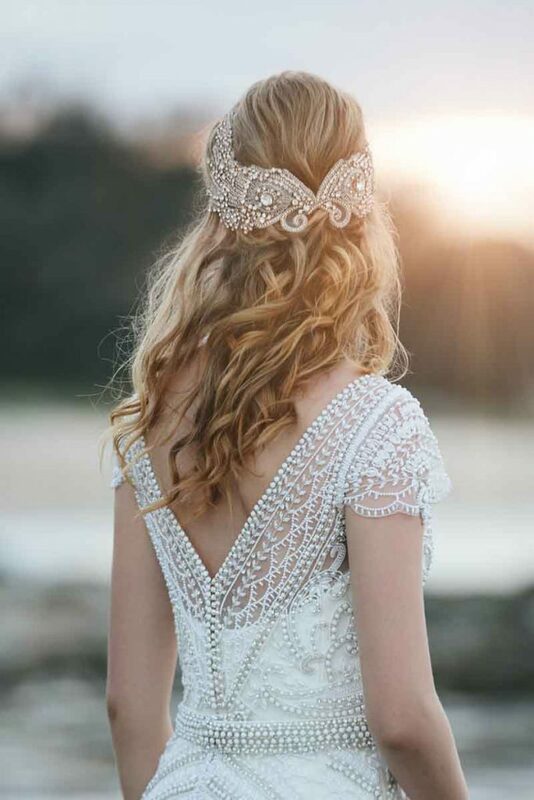 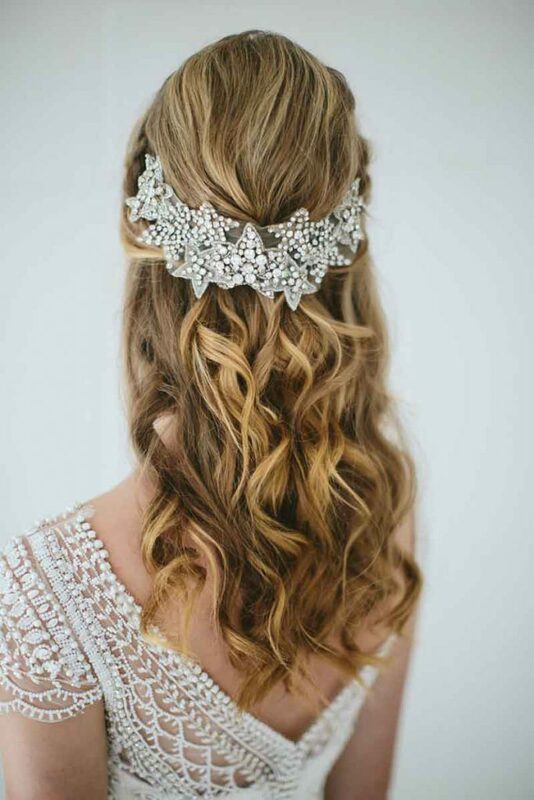 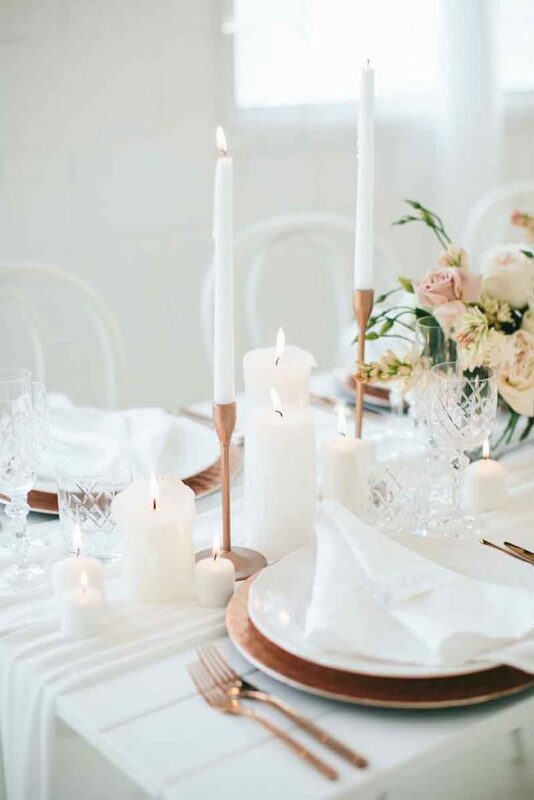 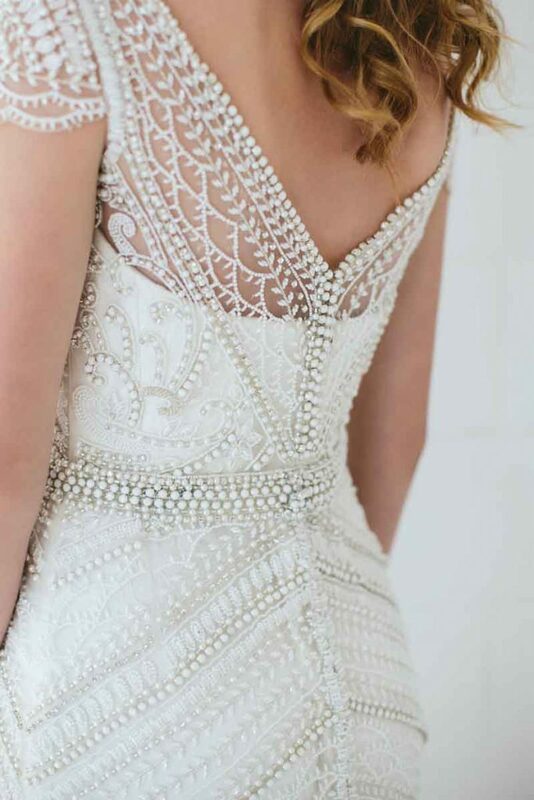 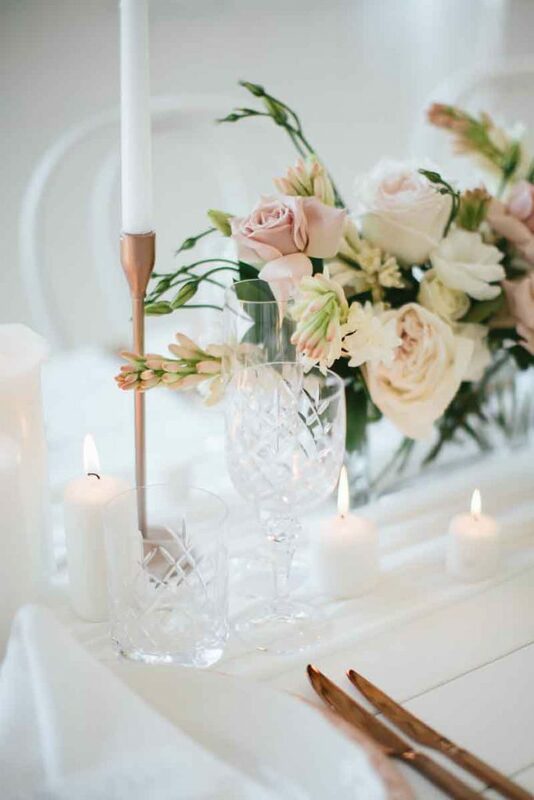 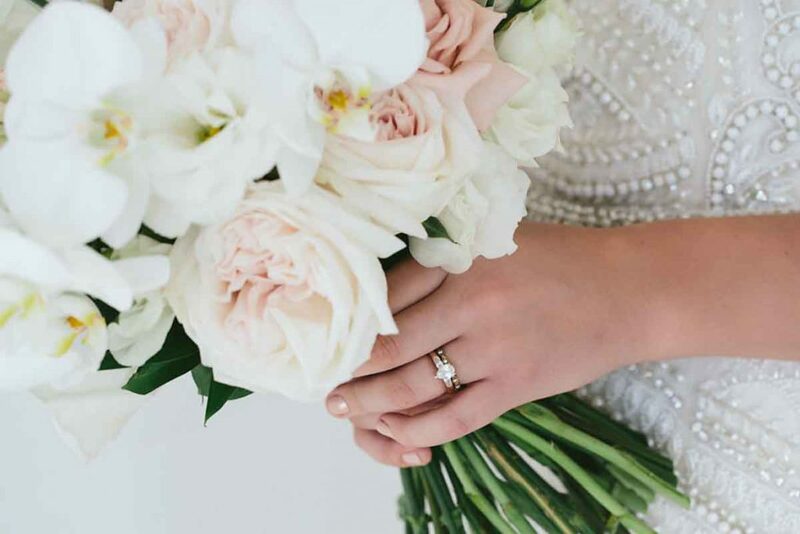 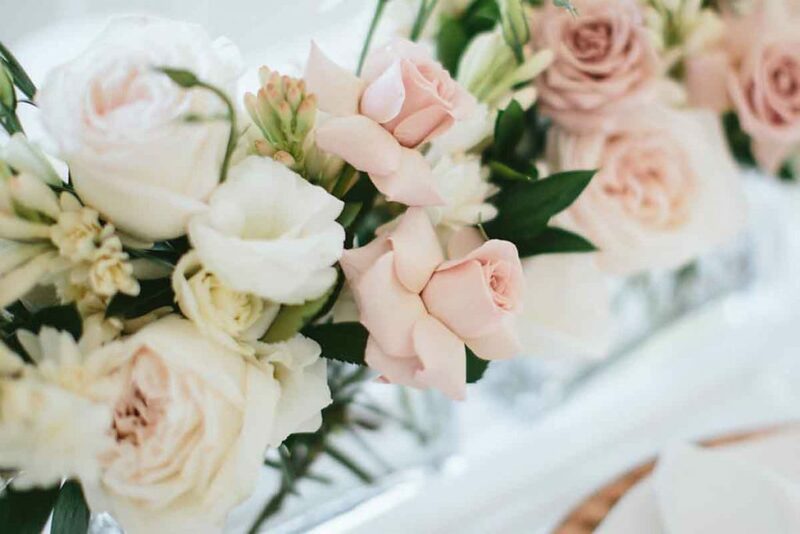 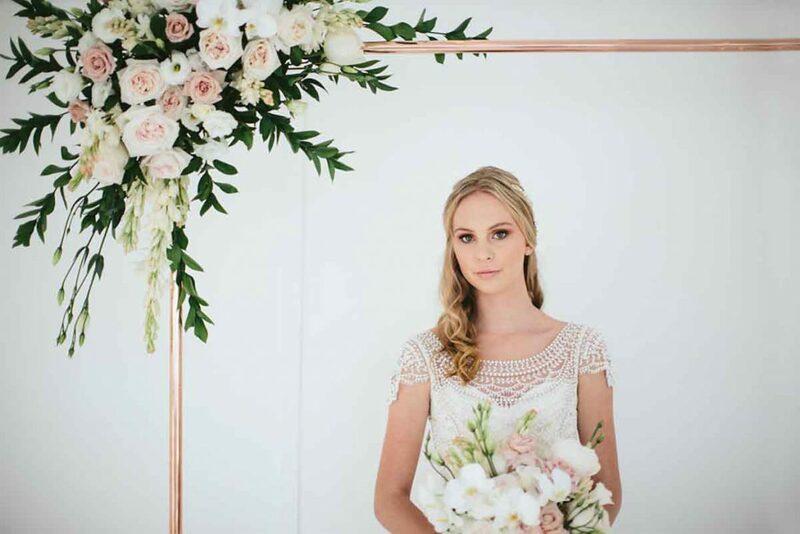 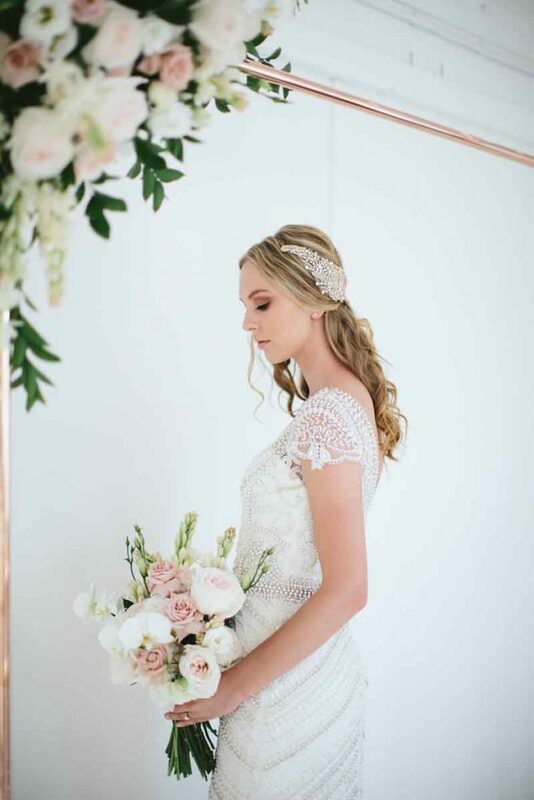 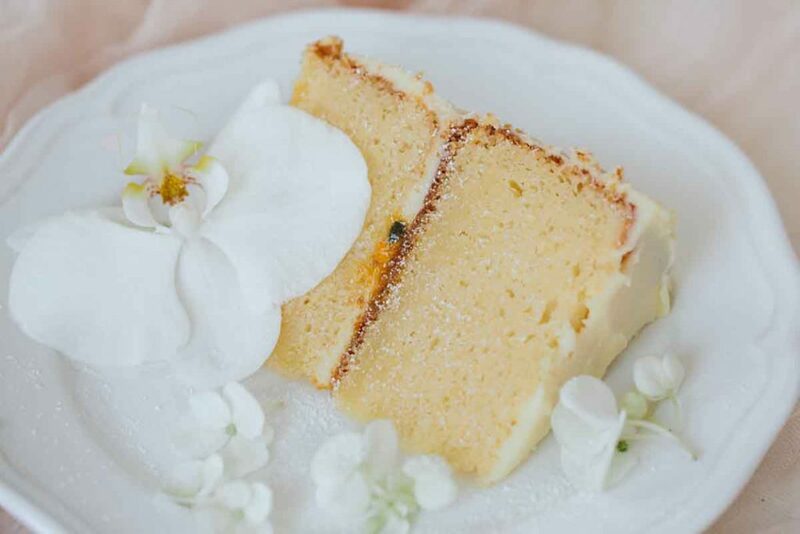 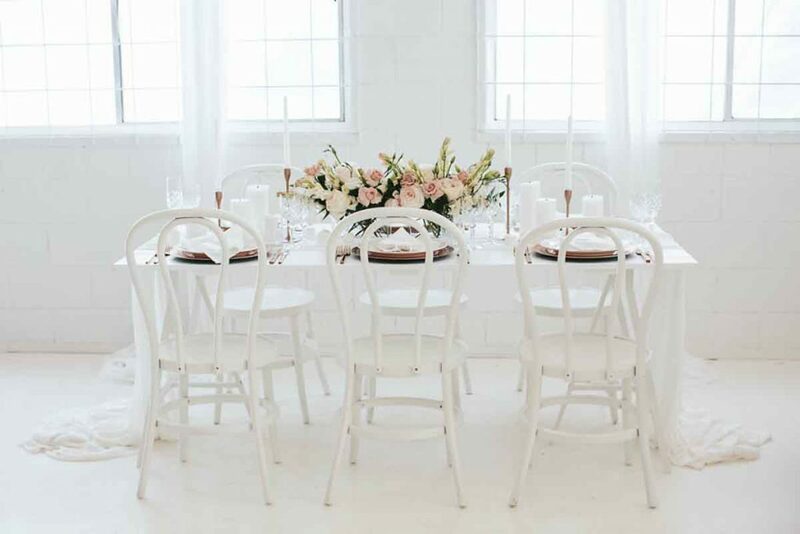 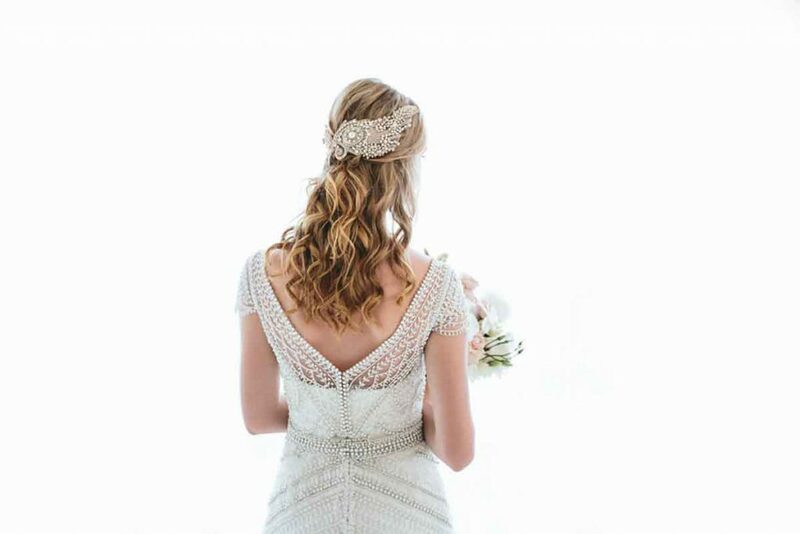 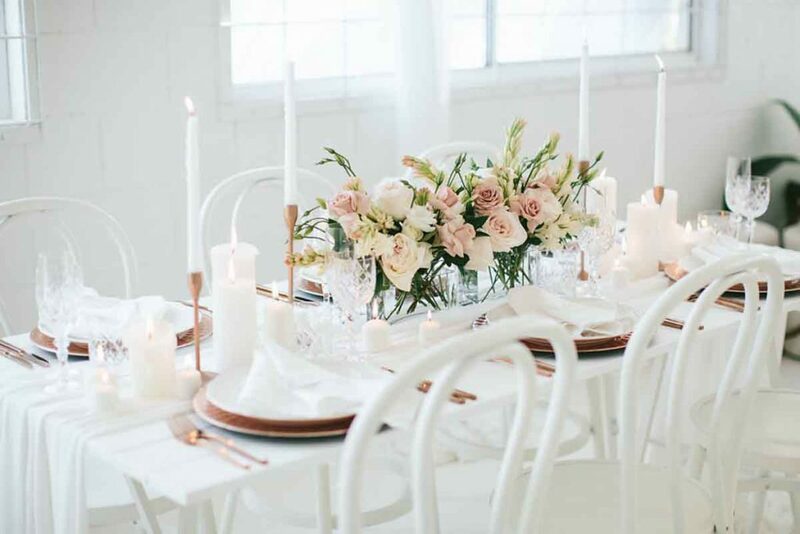 Featured in White Magazine’s blog for The Wedding Harvest, this light-filled and airy photo shoot was soft and romantic, refined in styling and effortlessly beautiful. 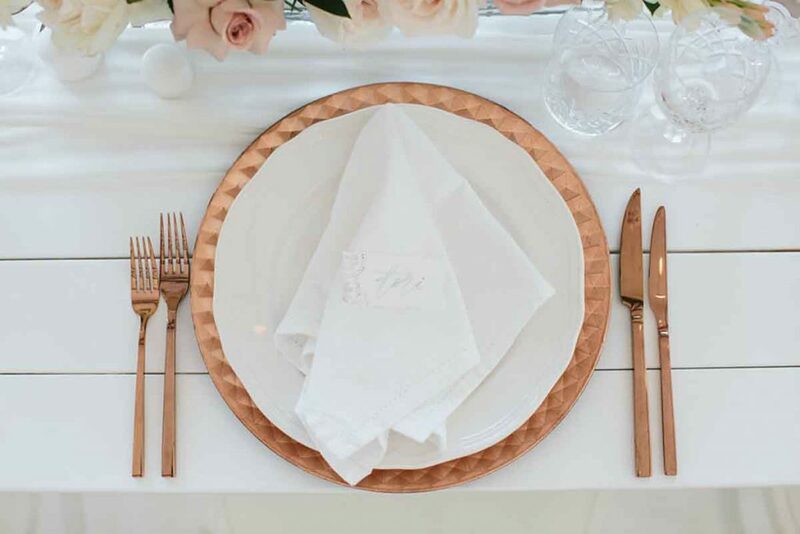 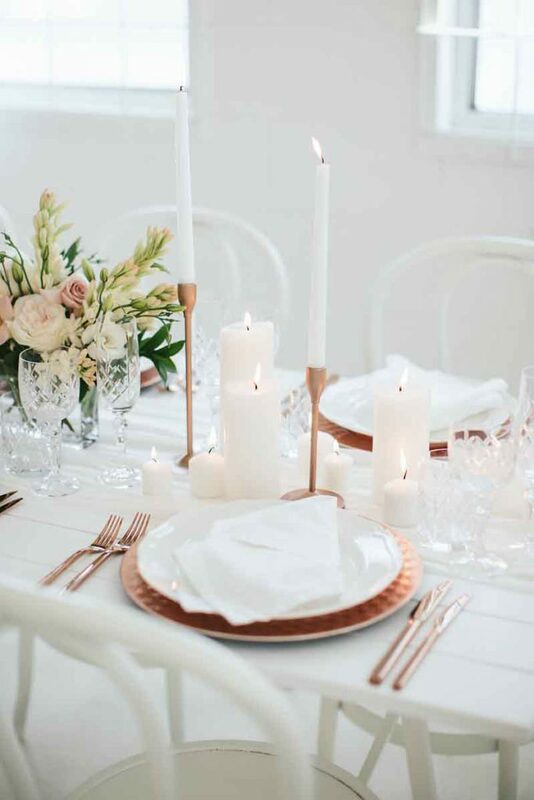 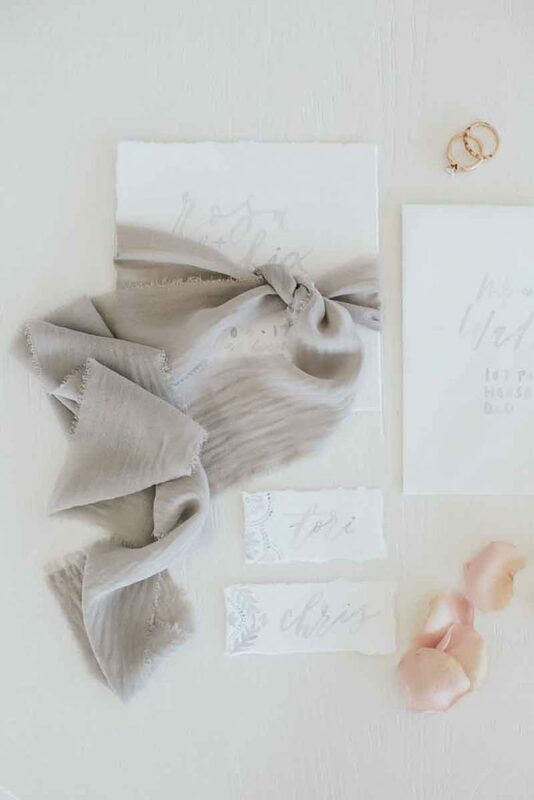 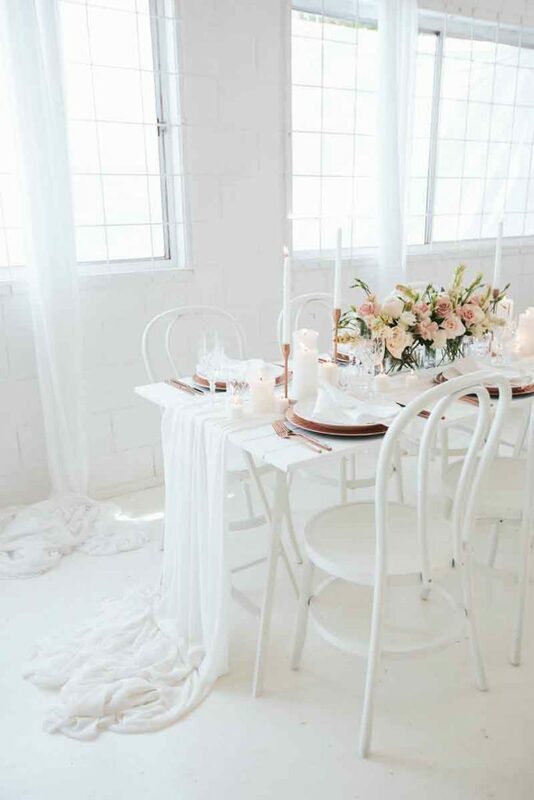 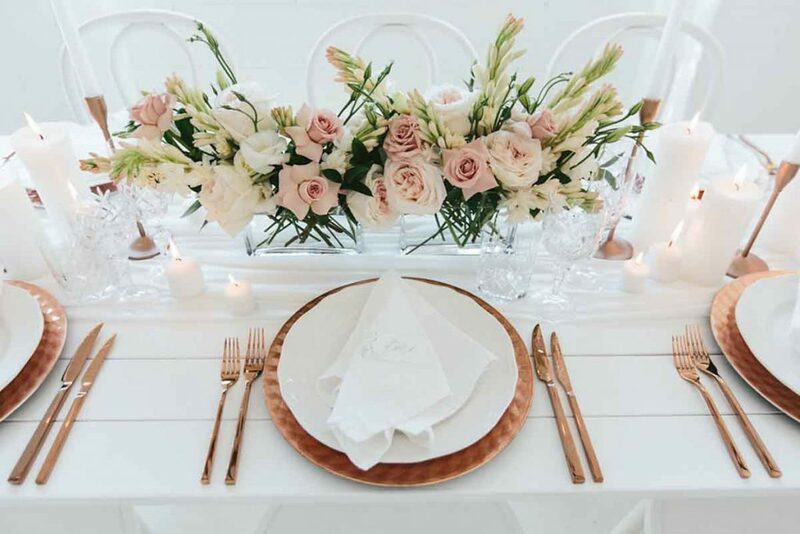 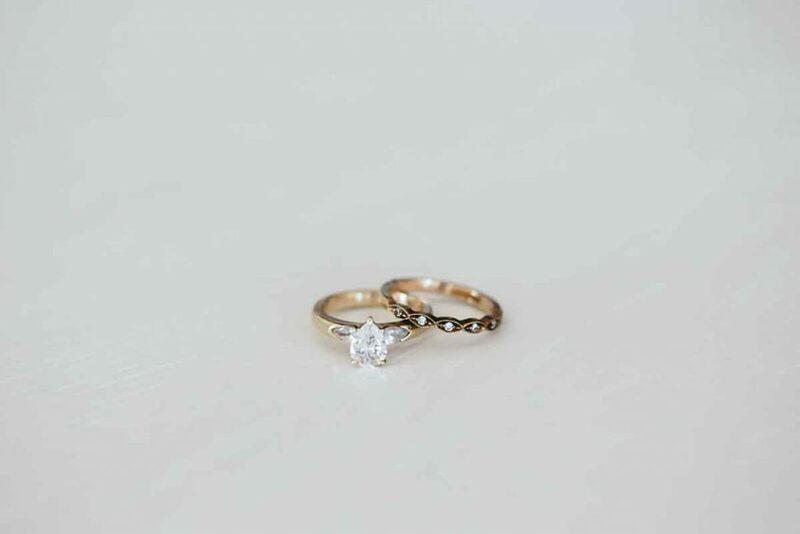 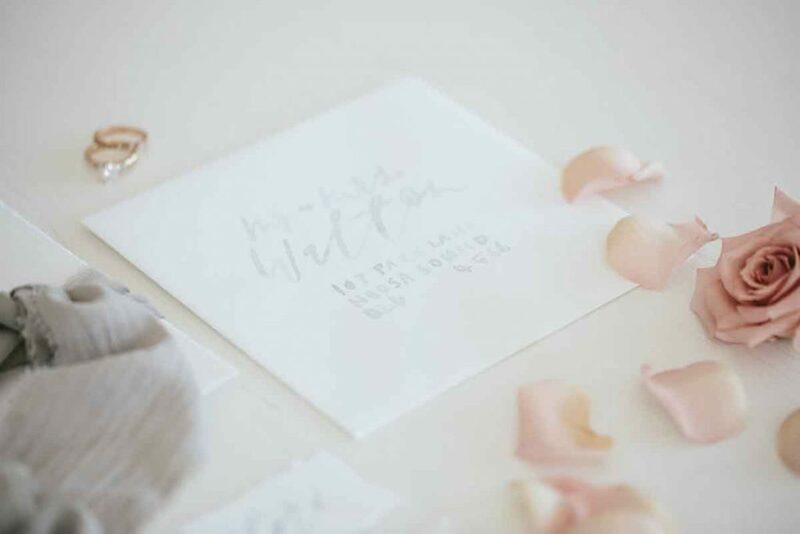 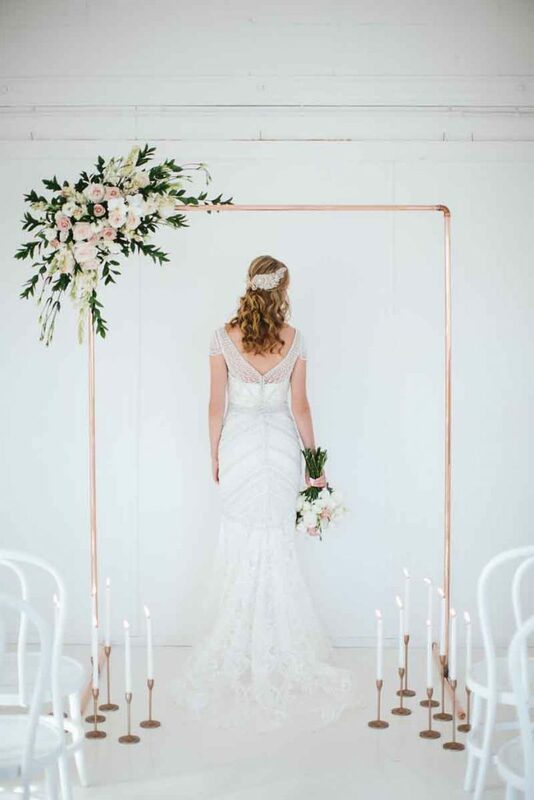 The colour palette of rose gold, blush, crisp white and soft grey worked harmoniously together bathed in natural light. 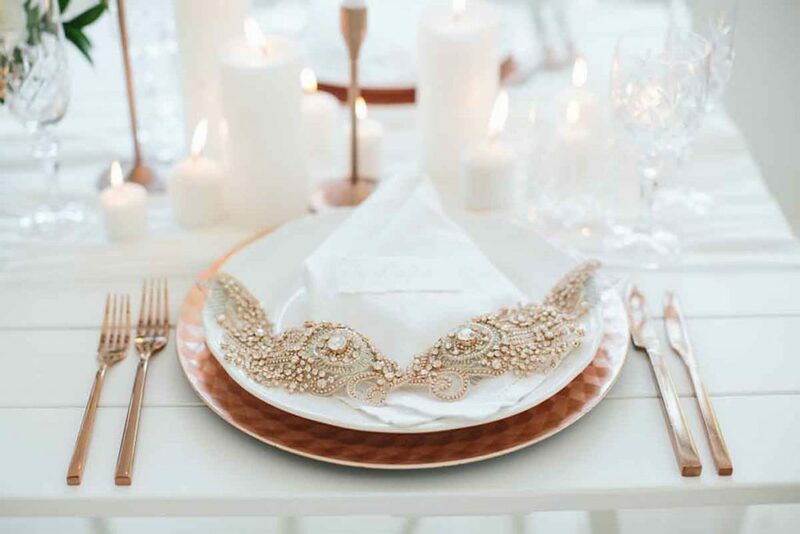 Glittering textures of the dress and the hairpiece looked sooooo feminine and pretty alongside the stationary, table styling and the flowers. 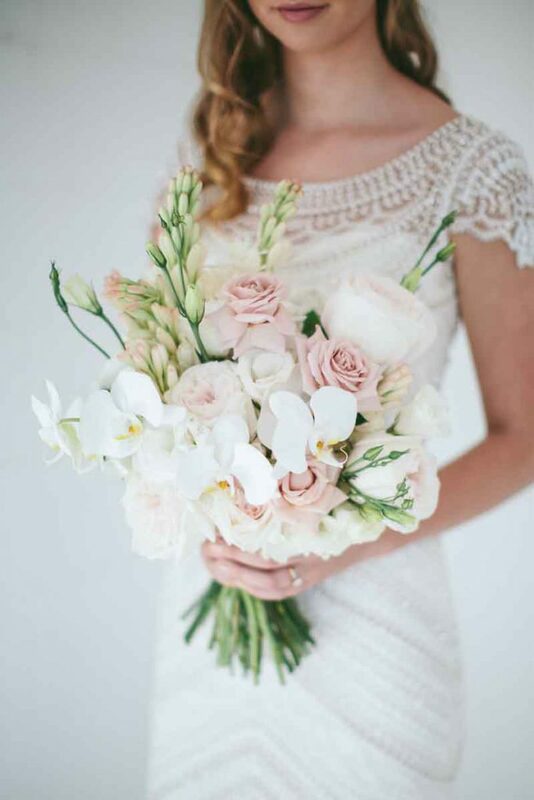 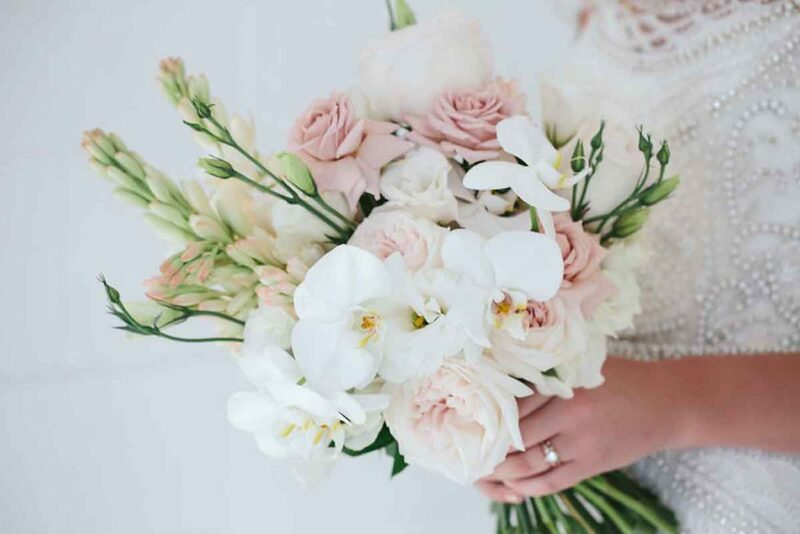 We used a mix of phalaenopsis orchids, quicksand roses, tuberose, white O’Hara roses, and lisianthus, with minimal foliage for a modern and sophisticated look.